I totes should have written this post last night right after watching the show because it seemed like I had lots of thoughts then that I can’t remember now, but oh well, I’m lazy and thems the breaks! I should start by saying that I know that you hate Big Love. Everyone hates Big Love! But I was always sort of fond of it. It was basically a soap opera with high production values, right? And that’s fun, I think? It seems that most of the problems people had with it were story-based, and that is completely valid. Because like 83% of the stories this show chose to introduce and explore were really stupid. I get it. But I always saw it as more of a character-driven show than a story-driven show, and while I wasn’t really in love with any of the individual performances, these were some pretty compelling and well-drawn characters, IMHO. It was always in the Entourage vein of HBO shows, in that it’s really stupid, but I can settle in and distractedly enjoy it every week while I try to get through my Google Reader. And, unlike Entourage, at least it had a little bit of forward momentum, even if it was stupid forward momentum. Entourage has, like, backward momentum. 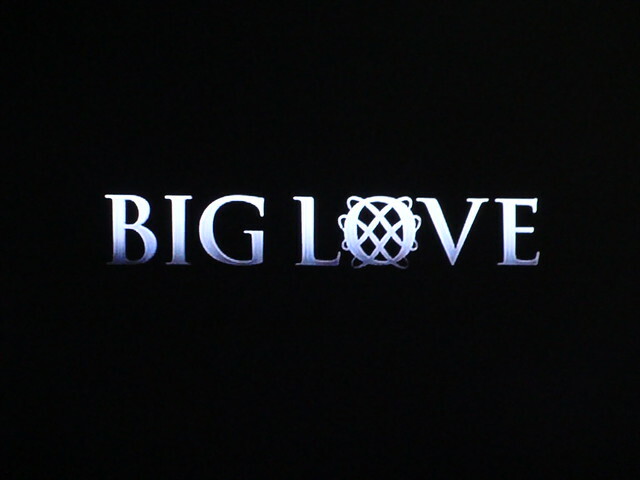 I suspect I’ll miss Big Love a bit. I should also say that my wife Johanna and I had some conversations as the season built to the finale about the way the show should end, and it mostly ended, in word if not in spirit, exactly how I thought it should. I wanted Bill to die (BELATED SPOILER ALERT!!1!). Bill needed to die. And Bill died. Also, I wanted to get confirmation that the story was really always about the wives and their relationships with each other, and I got that confirmation. OK, all that said, this finale was terrible. This Derrick Rose and Katy Perry team-up is making me reconsider my “Buy American” stance. So at some point, perhaps when I was the owner of a Chrysler dealership while they were going bankrupt (Believe it or not, that is not a joke! That is a thing that actually happened! ), I got it in my head that I should be one of those “Buy American” people. One way in which this manifested itself was in my half-baked decision to only wear, like, Nike, Vans and Converse shoes and no longer support Adidas or Puma. My aversion to Adidas was even more pronounced because I have an inherent distrust of German corporations, mostly because I assume they all used to provide material support to the Nazi Party. UNSUBSTANTIATED CLAIM BASED ON ABSOLUTELY NO INFORMATION ALERT! When I brought up this attitude about the Germans to my wife’s father and told him I was thinking of buying a Ford instead of, say, a Volkswagen because of it, he pointed out that Henry Ford was a noted anti-Semite who exchanged correspondance with Adolf Hitler. Or something. So there’s that. Another way in which I’m an idiot is that clearly all of these shoe companies are global corporations at this point, and they’re all manufacturing the sneakers in the same Indonesian sweatshops, and blah blah blah, I know! I know, OK?! I just said RIGHT AT THE START OF THIS PARAGRAPH that I’m an idiot! Do I contradict myself? Very well then I contradict myself, I am a large hypocrite. Anyway, this new Adidas commercial features both my singer crush, Katy Perry, and my basketball crush, Derrick Rose, so I’m thinking of switching allegiances. Sorry, Phil Knight! And yes, I know, you hate Katy Perry, but I don’t care. She’s really hot, you guys. Plus, I know you hate her husband Russell Brand, too, but that doesn’t stop me from also really liking him. So there. As for the commercial itself, I think it might be slightly too frenetic for my taste, but the new Justice song it uses is pretty awesome, and it really makes me want to go care about something/work hard/never give up! I’m not sure I’m going to go out and buy a new pair of Adidas shoes, though, because pretty much every pair that I’ve ever owned has sort of hurt my feet. But if anyone could convince me to switch brands it would be Derrick Rose, on whom I currently have the biggest sports crush I’ve had since the heights of my Pujolsmania. He’s so hard-working and humble and unselfish and amazing! Did you see this article? How could you not love him?! 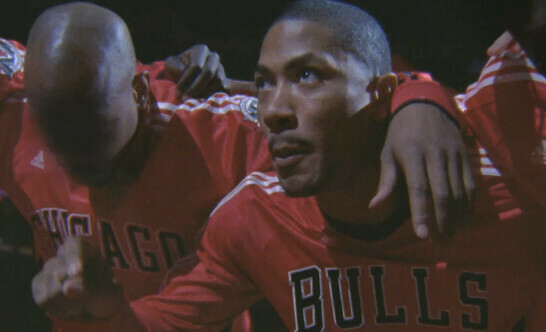 Speaking of my current love of Derrick Rose, I really need someone to talk NBA with. None of my friends care, and my wife, God bless her, tries her best, but I get the sense that she’s just daydreaming about Kyle Chandler while I’m blathering on about how maybe the Bulls are better off with the 2 seed in the East as opposed to the 1 seed because then they would probably face the Heat in the second round of the playoffs instead of the Magic, and I really think they match up better against the Heat in a seven game series. What’s that? You’ve already stopped reading? OK then, I’ll show myself out.